Dear Olay, I like your products. I really do. They work pretty much like you say they will and they sure beat the fancy stuff, price-wise. It’s just … well, I always feel as if you’re trying to lull me into thinking I’m getting two or three times more than I actually am. And there’s no need for that. It makes you look sort of duplicitous and sneaky (see Survivor’s Boston Rob for an example of this type of behavior.) I’d be happy with packaging that actually was the size of the product I’m buying — happier, truthfully, than paying for and disposing of three or four times as much paper and plastic than is required. And why place the jar behind the clear plastic so that you can’t really see the top of the bottom of it? Do you think I’m going to believe the jar is bigger than it is? I mean, I can read. I know how much is in the jar. When you try to pull a bait-and-switch, it makes me mad because 1) you think I’m that gullible and 2) I fell for it a little. So, please, just make a box that’s the size of the jar and we’ll all be much happier. Thank you very much. 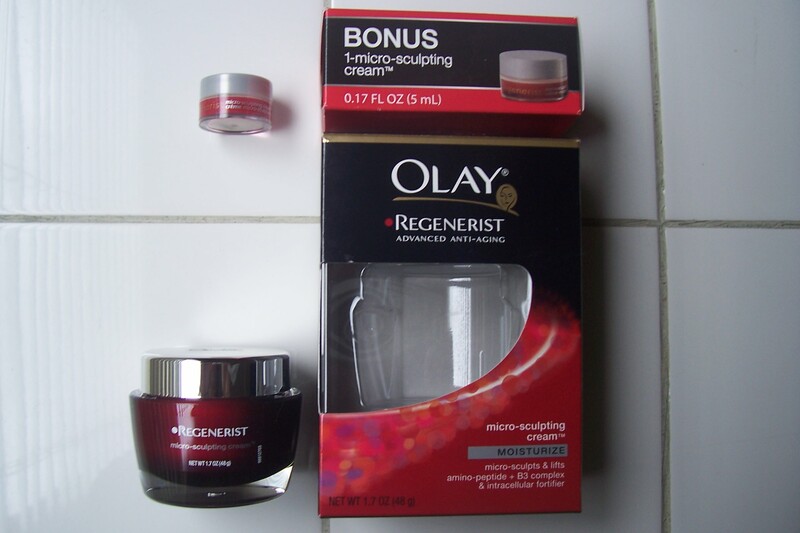 This entry was posted in fashion, shopping and tagged beauty, beauty products, cosmetics, face cream, health and beauty, Olay, shopping, Survivor Redemption Island by Coffee with Cathy. Bookmark the permalink. Send that one to Consumers Reports. They love (hate) that kind of thing. I think they do that to make it too big to slip into a pocket without paying. Cathy — Oh, good point. I hadn’t thought of that. JP — Great idea! Thanks. Isn’t the small thing a “Bonus”. It says so on the package.